Community is building benches for safe bus stops. 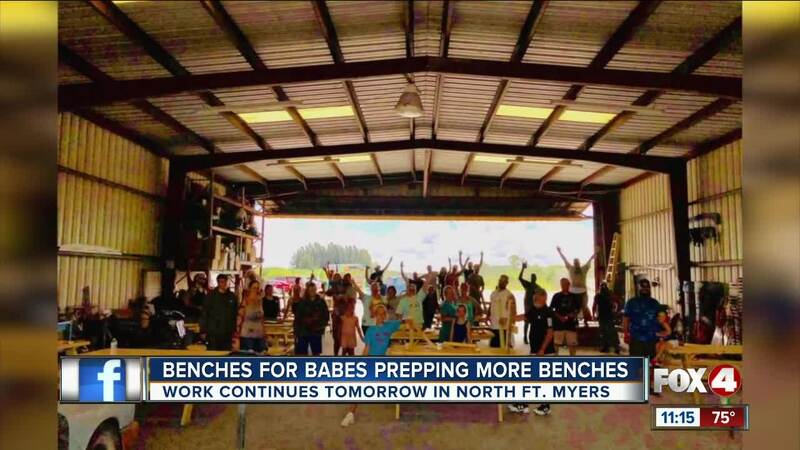 FORT MYERS, Fla. — Benches for Babes supporters gathered in North Fort Myers to build benches that will be placed at bus stops. On Saturday, the volunteers built more than 55 benches that children can sit at while they wait for the school bus. These efforts will continue on Sunday.